The C6 Corvette is the most capable Corvette ever. There has rarely been any car with the legacy of racing success enjoyed by the C6 family, let alone one that can be had for less than $100,000. The C6 bears a strong similarity to its predecessor, the C5 Corvette, but has certain characteristics that make it immediately recognizable. The most obvious difference is the exposed headlights, a feature that is reminiscent of both the first generation Corvette and the celebrated 1963 Grand Sport. There is however one thing this car has in common with all other Corvettes; without wheels, it will be going nowhere. 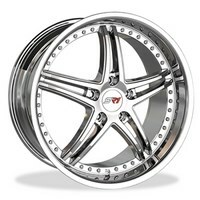 When you’re looking for C6 Corvette wheels, look no further than Corvette Mods. 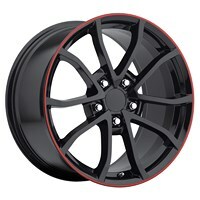 Whether you’re driving the incredibly lightweight Z06, the supercharged ZR1 or even the legendary C6R, both the appearance and performance of your car can be enhanced by the perfect set of C6 Corvette wheels. 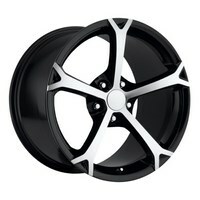 Upgrading your Vette with custom wheels has never been easier. 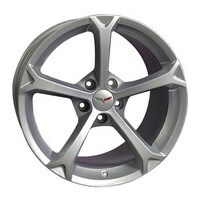 We carry a wide selection of wheels for your C6 Corvette. 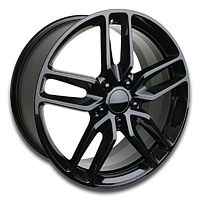 Our Corvette wheels come in many styles to complement your C6, whether it is a Z06, ZR1, Spyder or many other performance rim styles. the selection of styles allows you to add a variety of different looks to your C6. 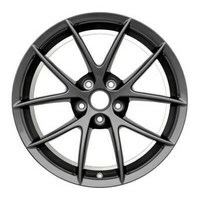 If maximum performance is your goal, be sure to look for C6 Corvette wheels with an open pattern that will not restrict the free flow of cool air to your brakes. When inches count, your brakes could mean the difference between triumph and catastrophe. 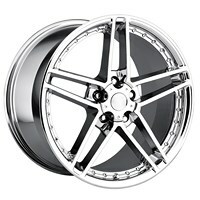 If you are more interested in pure style, the sky is the limit when it comes to design; anything from in-your-face chrome to black powder-coat finish rims that blend right into pavement is available. 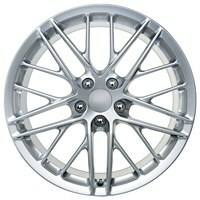 No matter what type or style of C6 Corvette rims you’re after, we have to be your first stop. You’ll find that no one else has the combination of selection and price featured here. 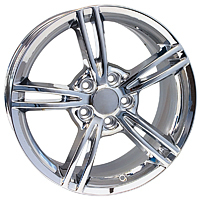 When you shop with us, you can be confident that the wheels you choose will fit perfectly, the first time. 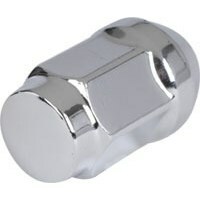 With the added bonus of fast, free shipping right to your door, why would you ever need to visit anyone else?